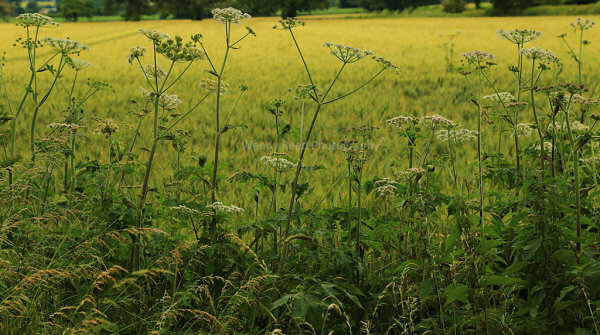 At this time of year I like the combination of the golden glow of crop fields with the structure of hedge parsley and hogweed. This photo was taken on the Oxfordshire Way, just beyond Pyrton. This is a lovely bit of countryside with mature oaks and fields of crops with hedgerow plants in profusion.